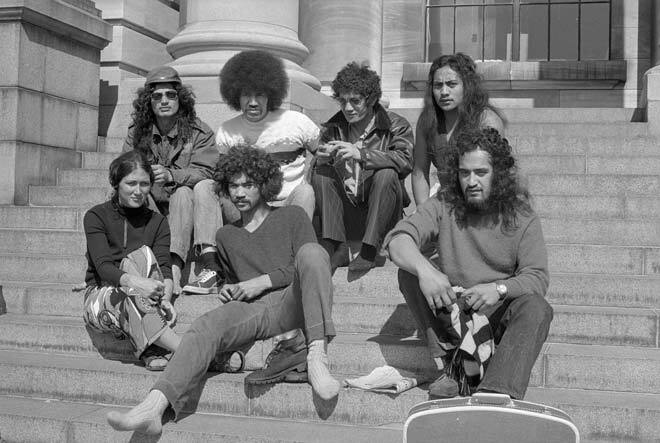 Members of the activist group Ngā Tamatoa sit on Parliament’s steps in late 1972. Ngā Tamatoa played an important role in revitalising the Māori language, and represented an increasing group of young urban Māori involved in protest movements. Some members of the group pushed for greater representation of Māori in the union movement. Kia ora. Could you inform if Hoeroa Robert Marumaru (jnr) was a founding member of Nga Tama Toa? Thank you.